431 PCCENTER is an inclusive data management software kit integrating monitor, diagnosis, analysis, waveform display, update notice and remote service functions. Through the interfacing of X-431 scan tool and PC with the help of Bluetooth technology, it can display, monitor and process waveform and trouble code information in the diagnosis process. The vehicle information can go into the database together with the record of the car owner in support of future maintenance. 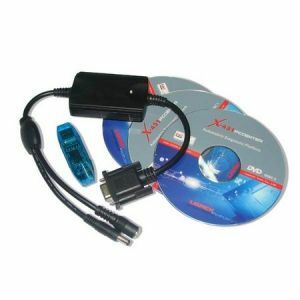 In addition, X-431 PCCENTER comes complete with software upgrade information and upgrade tools. It will also allow the users to send their diagnostic information to the company website to get solutions from specialists. 1. Real-time Monitor: The real-time display of X-431 interfaces on a PC screen enables the technician to give instructions from PC for X-431 to carry out and to capture the interfaces for further analysis. 2. Diagnosis: Linking with X-431 and running the diagnostic program will bring waveform and trouble code on the PC screen, which can be studied together with the previous diagnostic information of the car. 3. Data Import: The diagnostic information can be saved in .x431 format and imported to PC for analysis. The same document can also be sent to Launch website to get help from specialists. 4. Notice for Upgrade: Notices for the release for the model and version information will be given. 5. Upgrade Tool: This function gives more convenience in the upgrade of X-431.